Cloud-based martech systems have taken over the marketing landscape. Almost every website has a dozen trackers or more, each of which creates an endless stream of data. The problem is, for most companies all that data still lives in independent silos, and the state of the art in data analysis is whatever can be manually combined in spreadsheets, once or twice a month. Imagine what insights you might be able to learn if the data in all those silos were collected, blended, and available for analysis whenever you want to look at it? 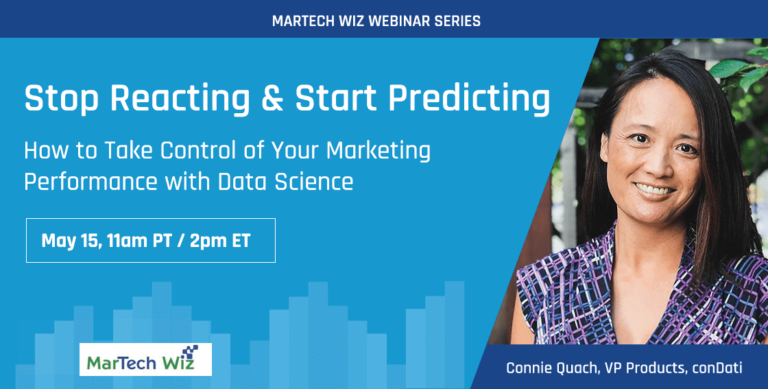 This is what data science can deliver to marketers, right now. 80% of marketers say the primary obstacle to implementing data science is lack of resources. The economics of the cloud take this obstacle away. World-class data science is now cost-effective, even for small and mid-sized companies. Why do Marketers need to get started now? Previous PostThe 2018 Martech “5000”: A Wish Granted?